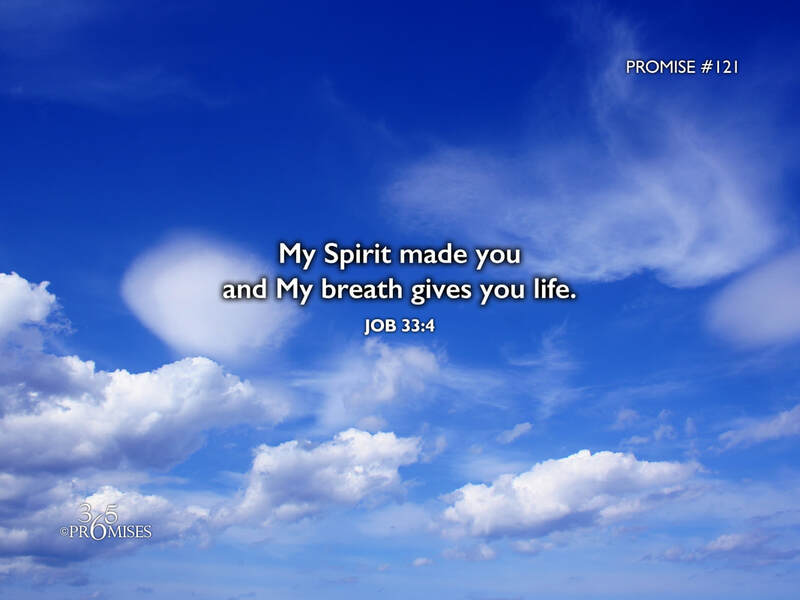 In today's Scripture verse, one of Job's friends is declaring that the Spirit of God is the One who made us and His breath gives us life. When God created Adam in the Garden of Eden, He breathed the breath of life into his nostrils and Adam became a living soul. Jesus breathed on His disciples after the resurrection and they received the Holy Spirit. Every breath that you and I take is a gift that comes from the Father of Lights. He has made us and He has promised to sustain us. Every good and perfect gift that we have comes from our Heavenly Dad. The One who created us is the One who will continue to provide all that we need, both physically and spiritually. May each one of us be reminded of our God and Father's goodness as we draw each breath into our body. He has made us and His breath gives us life!